Bishop Peace Okonkwo is the Resident Pastor of the Headquarters Church of The Redeemed Evangelical Mission (TREM), and Proprietress of the Word of Power Group of Schools. She is a pillar of hope for the Body of Christ and reflects a contagious joy and peace that only comes from God. Her passion is giving hope to women and children around the world. Standing behind the scenes giving a hugely supportive role to her husband the Presiding Bishop has brought her into the limelight; truly her gift made a way for her and brought her before kings. Her love, care and concern particularly for women and children sent her to her knees to seek God’s face on how to reach these two groups. 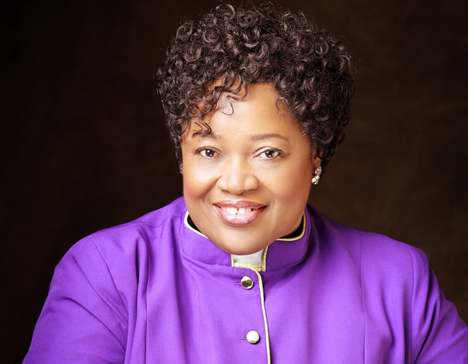 In 1998, this desire gave birth to the International Women Prayer Conference, a monthly meeting for women, which holds every last Thursday of the month at the world Headquarters of The Redeemed Evangelical Mission (TREM). This meeting has become interdenominational and holds not only in the TREM World HQ but also in other states of Nigeria and other nations of the world including United Kingdom, Israel, United States of America, Republic of Gabon, and Cote D’Ivoire amongst others. In a bid to ensure a solid foundation for children, she established the Word of Power Group of Schools. She is also the Founder of the Women of Global Impact and has expanded her outreach to the desolate and street ladies by creating a home for them called Rehoboth Homes and Skills Acquisition Centre. She is a recipient of several awards which include: Nigerian Woman of the Year Award (2005), SUMA Humanitarian Support Award (2006), International AIDS Candlelight Memorial Award (2007) amongst others. She is married to Dr. Mike Okonkwo MFR, the Presiding Bishop of TREM and they are blessed with a daughter, Uche.